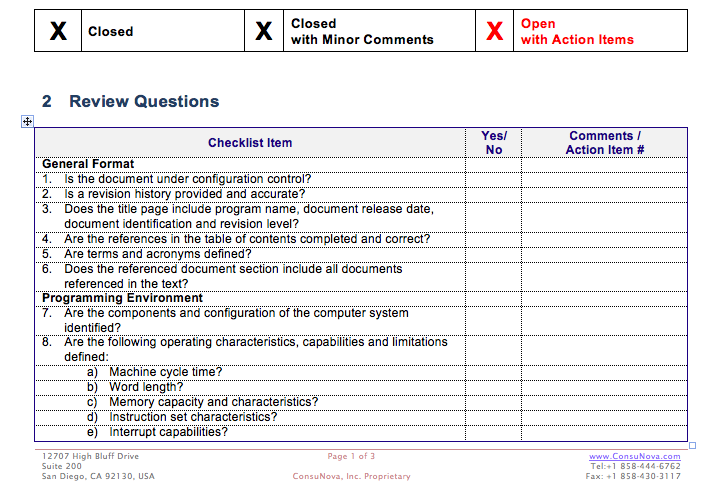 This is a DO-178 checklist for the Software Programming Manual. This is a DO-254 template for the Hardware Archiving Standard. 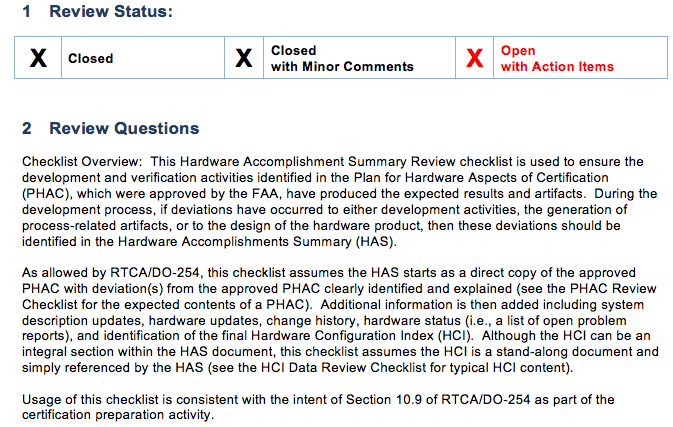 This DO-254 checklist reviews DO-254 Hardware Accomplishment Summary (HAS), with over 50 questions to ensure full compliance to DO-254. 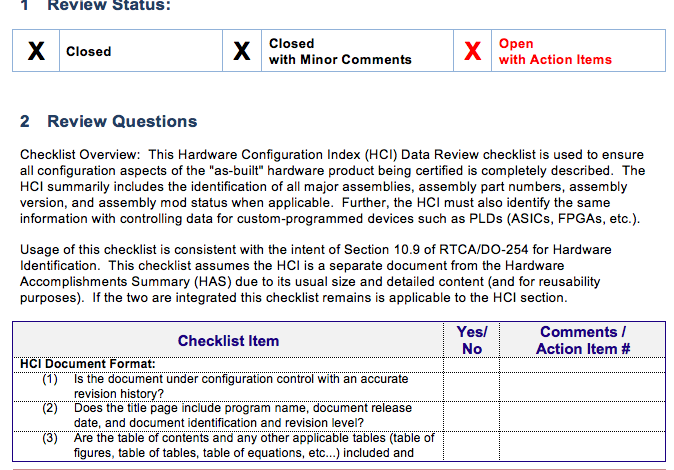 This DO-254 checklist reviews DO-254 Hardware Configuration Index (HCI), with over 30 questions to ensure full compliance to DO-254. This DO-254 compliant plan for Hardware Configuration Process is a 30-page template with 60% compliant content and topics, covering all aspects of DO-254 objectives for the Hardware Configuration Management Process (HCMP). This DO-254 template contains over 40 pages covering DO-254 Hardware Development Plan (HDP) up to DAL-A. 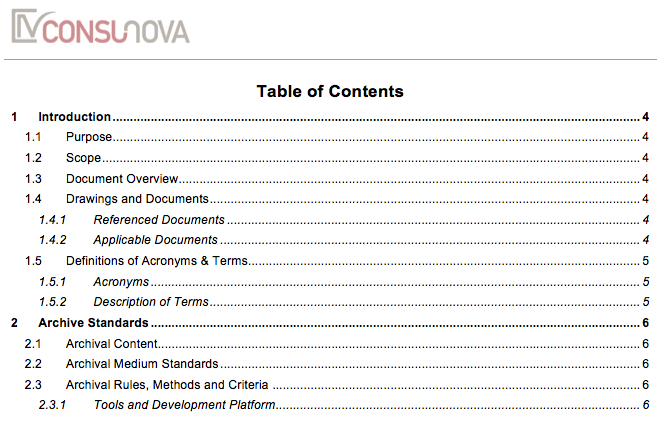 This simple and efficient DO-254 Hardware Development Standards (HDS) template covers section 4.1 of DO-254 objectives.